We’ve been gearing up for warmer weather around the shop lately, and I haven’t really been in the mood to start on a new sweater. But a girl’s still gotta knit, so I fired up Ravelry and queued a handful of free accessory patterns to knit for the shop. And quickly found that I kind of love knitting accessories. So fast! So easy! So delightfully little yarn! 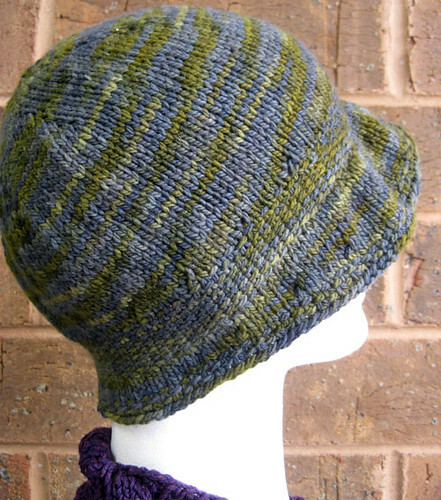 First up was Quest, from Knitty, a lovely little cloche that uses just slightly more than half a skein of Schaefer Miss Priss. Color is Dian Fossey. This hat was so cute that I knit another for myself! Two nights later, I was back on the hunt for a project, so I cast on for sev[en] circle, which several of our customers had been talking about in the store. This one is a little unusual, so I admit to being skeptical. But guess what? So cute. And very wearable here in Georgia, where the weather is always at odds with one’s desire to wear handknits. 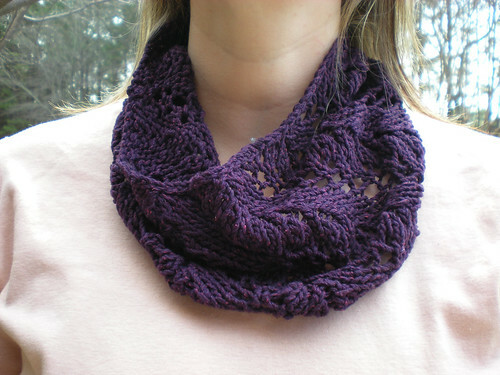 I used Madelinetosh Pashmina in Fathom and used about two-thirds of a skein, making this the perfect project for that one skein in the crazy color you had to have but weren’t sure what you’d ever do with. 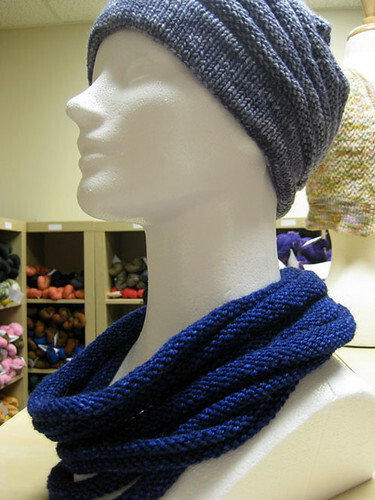 The mannequin in the picture is also wearing Lisa’s fabulous Wurm hat, another free Ravelry pattern, knit in Claudia Handpainted Yarn Short Sport (color – Antique Jeans, which is on sale right now!). And last but not least, our experiment with how much project you can get out of just one skein of ShibuiKnits Heichi, the Fern Lace Cowl. 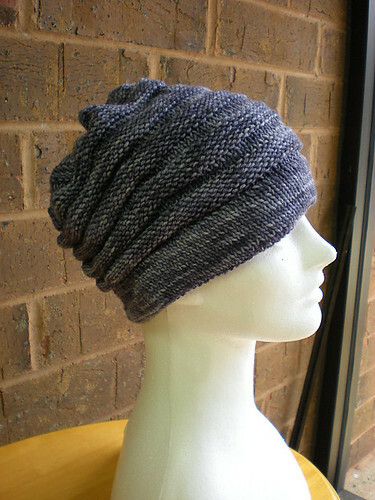 We loved how the Heichi knit up and softened and draped after blocking. And now, believe it or not, I am actually knitting socks. Out of Bugga! To be shown off later.